6 players on out side of 12 by 10 area with 2 opposition players inside area. 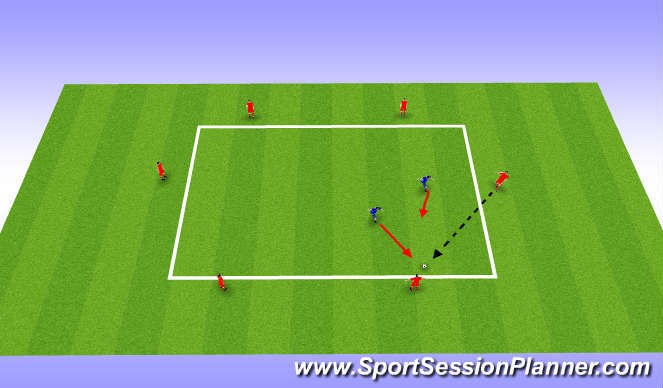 Aim is for players on outside to move the ball around and keep possession away from 2 defending players. 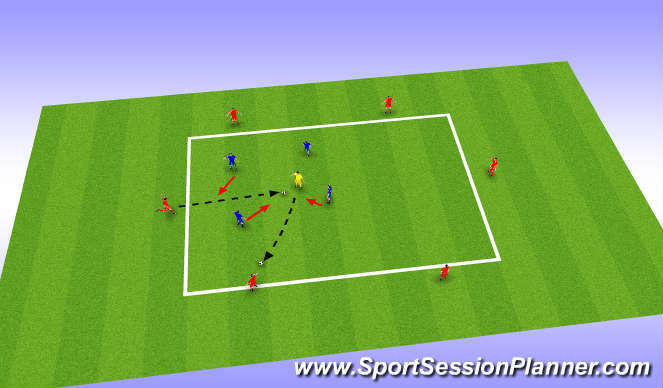 Can we move the ball quickly to stop defenders wining the ball.